To many, Apple’s iPhone keynote on Tuesday, October 4, will be one of the most exciting events this year — finally putting months and months of speculation to rest. But if you weren’t lucky enough to have gotten an invite, you won’t know what’s unveiled until you read it online. Unless you head down to Apple’s Covent Garden retail store in London. Apple has confirmed in an email to its staff that it will be live-streaming the entire ‘Let’s talk iPhone‘ keynote to the flagship London store to accommodate those who cannot join Tim Cook & Co. at the company’s headquarters in Cupertino. Just like the main event, however, you’ll need a press invite to get in. 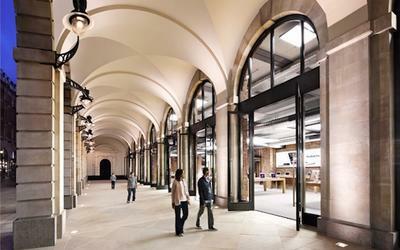 This isn’t the first time Apple has streamed its keynotes to London, though it is the first time it has streamed them to one of its retail stores. They have previously been held in locations that aren’t so easily accessible to those who aren’t invited. The company has also been known to live-stream its events to the public, however, though this luxury didn’t last very long. I’m off to try and wangle a press pass to next Tuesday’s press event. Wish me luck! Will you be looking forward to it?